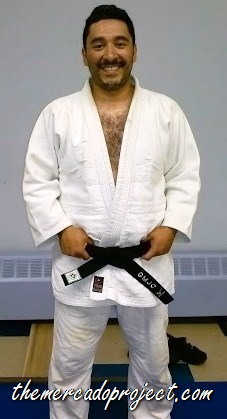 Today’s post is very special because it’s for my wonderful husband who’s now an official BLACK BELT in JUDO. He took the Kata test last Saturday with his sensei and passed. Yesterday evening, he was presented with his black belt at their Judo club. Congratulations my love! You worked very hard and you definitely deserve this high honor. Your love for learning, practicing, and teaching has enabled you to achieve great knowledge of this sport. May you continue as safely as you can.